Every day of the work week, you’ll find Henry Bloch at his office on the Plaza. He’s leading meetings, connecting with local businesses and working with nonprofits — not relaxing at home, even though he’s earned it after decades of hard work. Instead, he is still determined to find ways to help Kansas City — to repay his debt to the community he credits for his success. 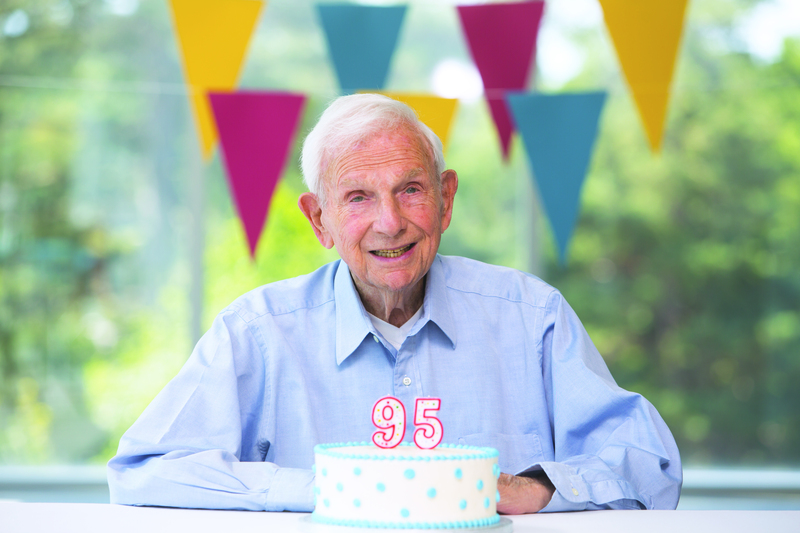 On July 30, Henry celebrated his 95th birthday. He has raised a family, navigated bomber planes in World War II, launched H&R Block and given back more to the city than most will ever realize. Some of Henry’s friends and family talked with us about his life and legacy, as well as the work yet to be accomplished in the community. Henry grew up in a middle-income Kansas City neighborhood near his future wife, Marion Helzberg. It was at the ripe age of thirteen that Henry was first inspired to improve life for humanity when he watched the 1936 movie “The Life of Louis Pasteur”. He studied at UMKC, then known as the University of Kansas City, and graduated from the University of Michigan in 1944. World War II took him overseas and he became a decorated war hero, navigating 32 combat missions in B-17 bombers. By the late 1940s, Henry was a budding entrepreneur in Kansas City, and in 1951 he married Marion, the love of his life. The couple had four children in the 1950s — Robert, Thomas, Mary Jo and Elizabeth — and lived a thrifty lifestyle in a home rich in love. “Dad was always able to balance the important things in his life and prioritize what was important — business, family, and even recreation. He was never too consumed by work or too wrapped up in what he was doing at the office to neglect his family,” says Tom Bloch, former CEO of H&R Block and chair of the UMKC Foundation Board. Considering the immense success of H&R Block, it’s hard to imagine a business venture of Henry’s failing, but success is often built upon the lessons of failure. Henry’s early venture United Business Co. turned out to be hard work. He and his brother Leon formed the bookkeeping company in 1946 and fought for eight years to make it work. Eventually, Leon left and his brother Richard joined in. In an effort to produce income on the side, Henry and Richard prepared income tax returns for $5 apiece for friends and family. Before they knew it, they had a list of 160 clients. One year they tried to stop doing tax returns to focus on their bookkeeping company, but a client pushed them to focus on the tax business instead. Thankfully, they heeded the advice and pioneered the franchises of H&R Block. Since then, H&R Block has grown to more than 12,000 retail locations and 70,000 tax professionals. Henry retired as CEO in 1992 and as chairman in 2000. To this day, whenever he visits the downtown Kansas City location, he is treated like a celebrity. Young employees cannot help but take selfies with the humble KC legend. This article is an excerpt from the 2017 Bloch Magazine. To read the full article, click here. This entry was posted in Alumni and Friends by Megan Cooper. Bookmark the permalink.